I don't usually do deal announcements, but could not pass up this one. 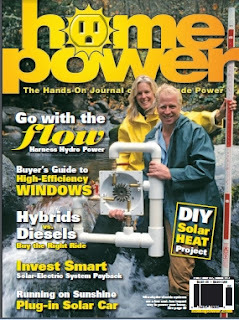 Home Power Magazine is doing 50% off their digital subscription rate for a while. So, a 3 year digital subscription that also includes access to 20+ years of back articles is now $11.95 -- what a deal! !